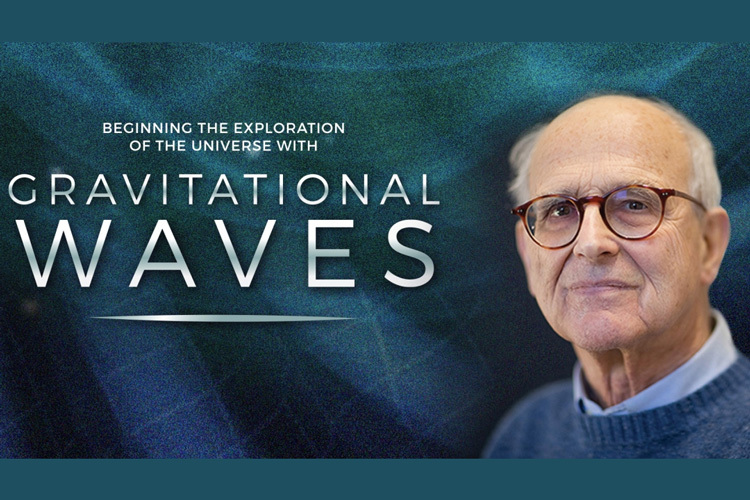 Rainer Weiss, the physicist who initially designed the experiment that one year ago first detected gravitational waves, will discuss the groundbreaking results and prospects for using gravitational waves to explore the universe in a lecture Monday evening, Oct. 3, at 6 p.m. in Zellerbach Hall. Weiss, a professor emeritus of physics at the Massachusetts Institute of Technology, will deliver the 2016 Segrè Lecture, an annual event named in honor of the late UC Berkeley Nobel laureate physicist Emilio Segrè and sponsored by the Department of Physics. The lecture is free and open to the public. In the talk, titled “Beginning the Exploration of the Universe with Gravitational Waves,” Weiss will focus on recent results and future prospects of the Laser Interferometer Gravitational Observatory, or LIGO collaboration, of which he is a member. That experiment has so far detected two flurries of gravitational waves — ripples in spacetime — caused by the mergers of two black holes. Pundits speculate that Weiss and the LIGO team will win this year’s Nobel Prize in Physics, which will be announced Tuesday, Oct. 4. Weiss recently shared the Kavli Prize in Astrophysics with team members Kip Thorne and Ron Drever for LIGO’s successful detection. Weiss will describe some of the difficult history of gravitational waves, which were first proposed 100 years ago, and the instruments and data analysis that enable the measurement of gravitational waves. He will conclude with the LIGO team’s vision for the future of gravitational wave astronomy.